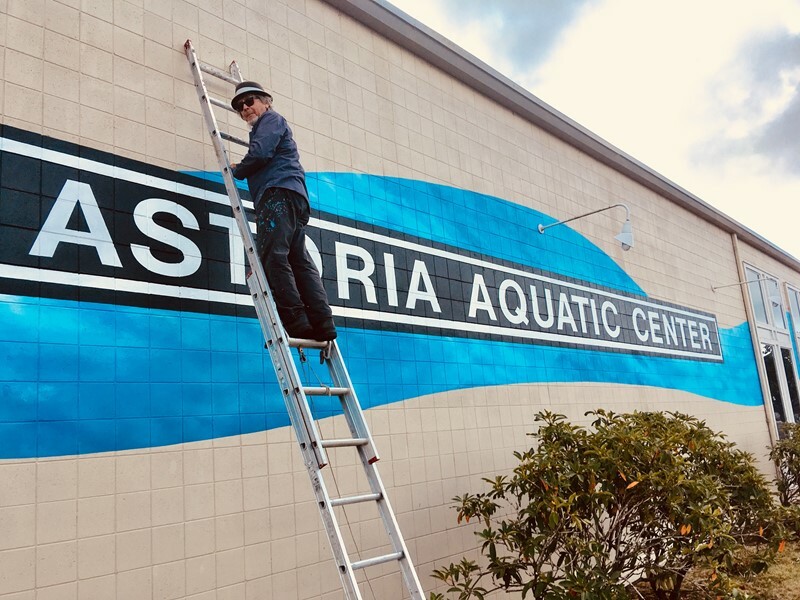 The Astoria Aquatic Center wraps up its annual closure Sunday, September 16, 2018. From the outside of the facility, you will notice our freshly painted wave along the Marine side of the building. We were fortunate to have local artist, Roger McKay, provide us with his talent in giving us a new look! Inside the facility our guests will find brand new drinking fountains that also serve as a water bottle refill station, added inventory to our merchandise, new grout in all showers, new paint in hallways and locker rooms as well as on deck. Most noteworthy, the fitness room at the facility has a fresh new look with more space for dynamic warm up exercises, lunges and full body workouts. We are extremely proud of the work it took to get our facility cleaned and upgraded and thankful for the staff who helped us during the closure. We hope that you agree! Pay us a visit soon and enjoy a dip in the pool or a run on the treadmill. To see the changes we've made, visit our Facebook page!